Supreme Air provides Air Conditioning, Heating and Plumbing Services, Repair, Installation, Maintenance, and Tune Up in Essex, MD and surrounding areas. I operated the unit on heating mode and found it was slow to heat and only heated by 10-15 degrees. The auxiliary heat worked properly. I checked the electrical wiring and electrical systems, all are within specification. I went to the outdoor unit and found refrigerant pressures were low even after I forced the defrost. I quickly identified a slow leak out of one of the valve stems. I tightened this but the unit is still around 3lbs low on refrigerant. I gave the customer a price to recharge while I wan on site but customer declined at this time. I explained I would have to put an additional estimate in the system reflecting a return trip to charge the unit. Customer unable to complete the repairs at this time. All other functions of the equipment are operating normal. Service call on 02/08/19 On arrival set unit to call for heat unit is not running checked electrical connections checked voltage and amps I call technical support if they know what is the problem I told them what I was checked on they told me reset the unit I did still the unit is not coming on if I found the problem they donâ€™t have the parts for this unit no more. I highly recommended to replace the unit. About the payment Donna she collected. 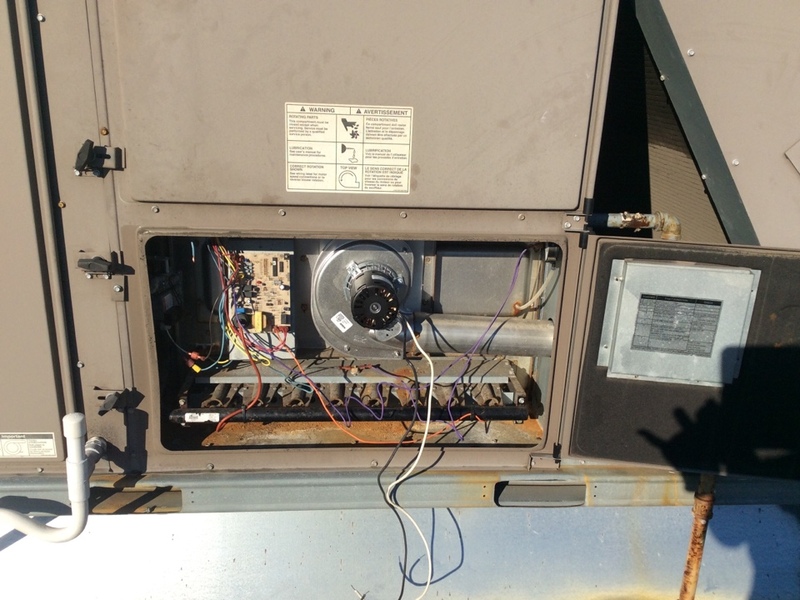 On arrival cheked thermostats were calling for heat, then went to the roof to do maintenance on unit 1 and 2. We replace filters, change two belts, inspected heat exchanger, connections. We turn units back on and system is operating normal. Upon arrival I went directly to the outdoor unit. Error code displayed 0 4- locked rotor. This is the same error code as before. Line voltage is 243. Capacitor is at full value. I reset the unit and it starts up. There must be a voltage drop causing the compressor amps to increase. I called Alex and installing a hard start kit will overcome any voltage issues to allow the compressor to start without faulting. Customer paid for adding a hard start. Discounted price reflects part cost and not labor. On arrival found system not operating,found bad fan motor and weak cap ,also blower wheel is dirty .system not operating normal.customer couldn't afford repair .i tried to finance repair for him but he didn't get approved . I labeled the wires as I removed them from the board. I installed replacement board. No â€œhigh line voltageâ€ or any other faults displayed. I had checked the other parts of the system the other day, including refrigerant pressures. Unit operating normal. Outdoor units control board locked out and displaying the code for â€œlocked rotorâ€ or locked compressor rotor. I checked the wiring and capacitor and they were within specification. I reset the line voltage and control voltage to clear out the error from the board and tested the units operation. The compressor started operating and the unit was heating with normal refrigerant pressures and close to 30 degrees delta temperature indoors. I called tech support and they told me the only possible cause for this error is internal to the board. If the current sensing relay does not sense current it will cause this fault. The board needs to be replaced. I called Alex and let him know what the problem was and he okayed replacing th board. 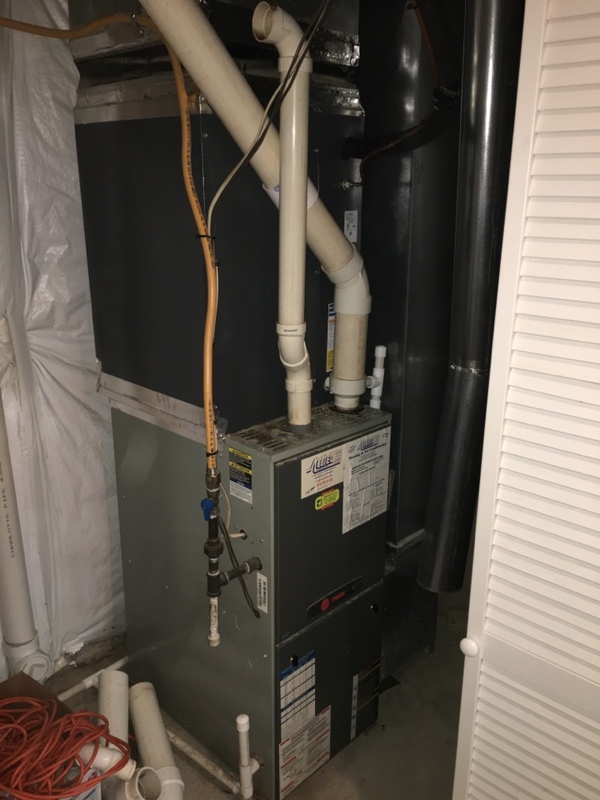 On arrival set unit to call for heat,checked system operation,checked exhaust system,blower,safeties replaced filter,found cracked heat exchanger,tagged system and turned the off .best to replace system ,customer has home warranty . On arrival found the back area unit have bad blower assembly,need to replace whole blower assembly .i turned system off until we replace parts. On arrival found unit not operating ,i then overrode the thermostat .unit came on .found outdoor pressure switch stuck open .i overrode it to cheked system pressure.found pressure switch stuck open and also possibity of a restriction in the circuit .unit is running on emergency heat .